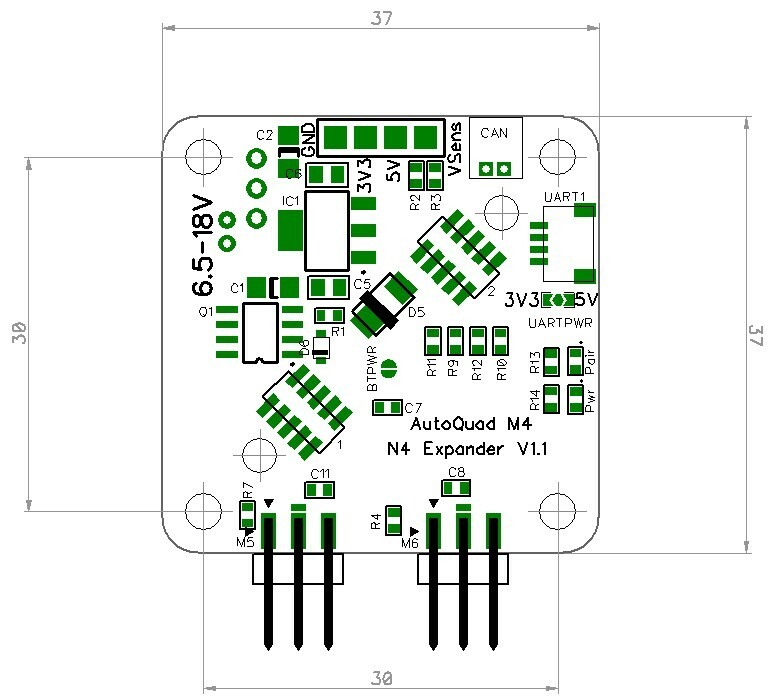 The N4 is a Nanowii-sized expansion board for Autoquad M4. Size is 37*37mm with 30mm M3 mounting hole pattern. 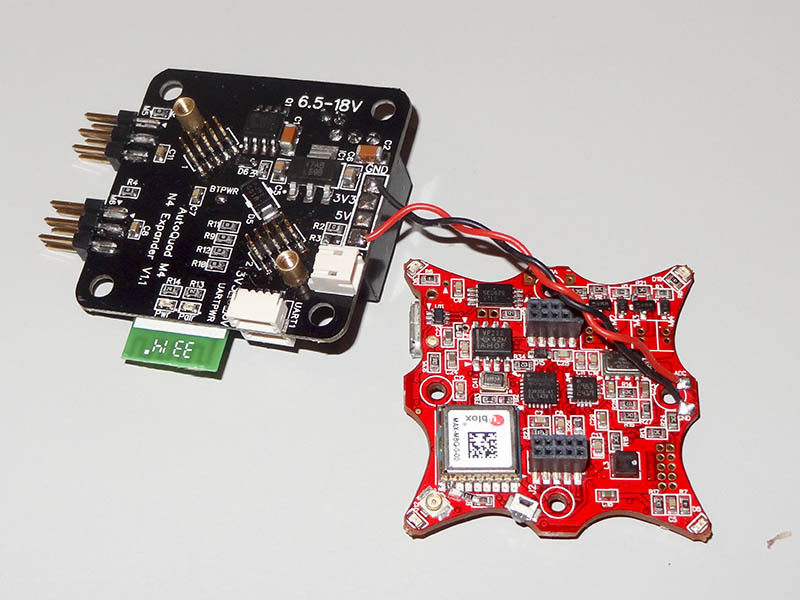 Kit version, SMT parts premounted – Bluetooth module and throughhole parts to be mounted by user. Preassembled and fitted controlstack with GPS groundplane. 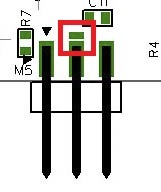 The 5V power line on the Motor connections can be enabled/disabled with a small solder pad next to the pin (shown in the illustration below). 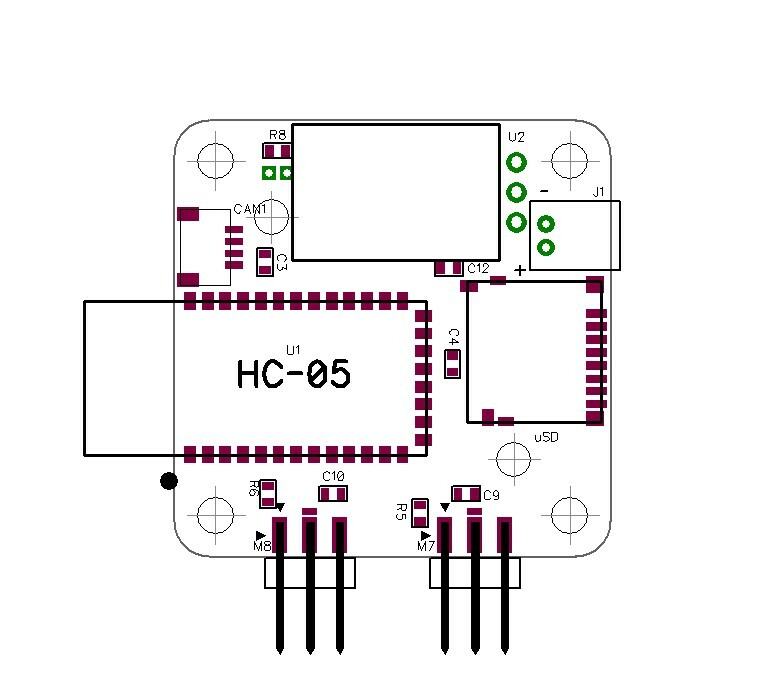 Connect this pad to the center pin to put 5V on the servo connector from the onboard Switching regulator. 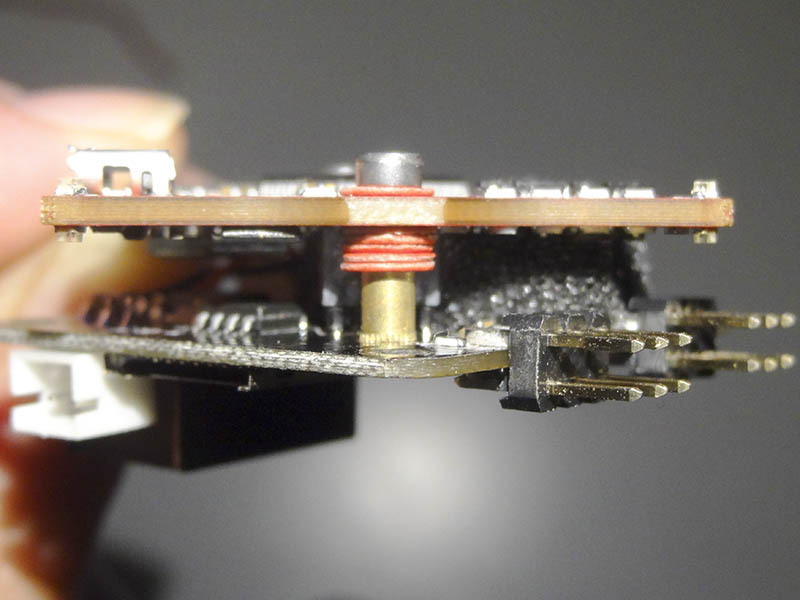 Leave it open or the red wire unconnected if using ESC´s that has a BEC onboard. 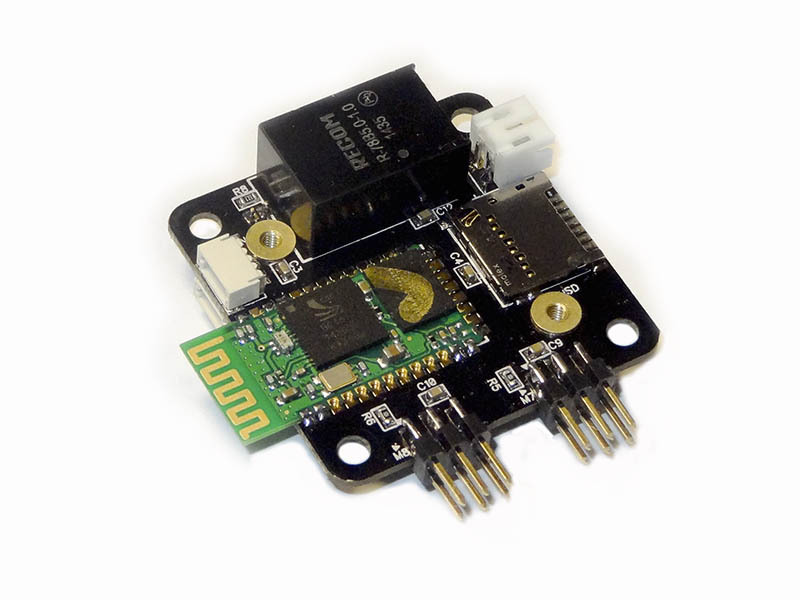 The UART connector is shared with the bluetooth module, so you will have to disable the BT module (open the BT_PWR jumper) to connect something like an Xbee or 3dr radio. 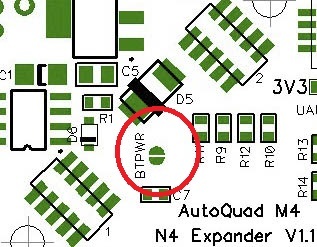 You can power the UART connector with 3.3V or 5V by closing the middle pad on the solder jumper to either the 3v3 or 5V side. There is 2 CAN connectors on the board. 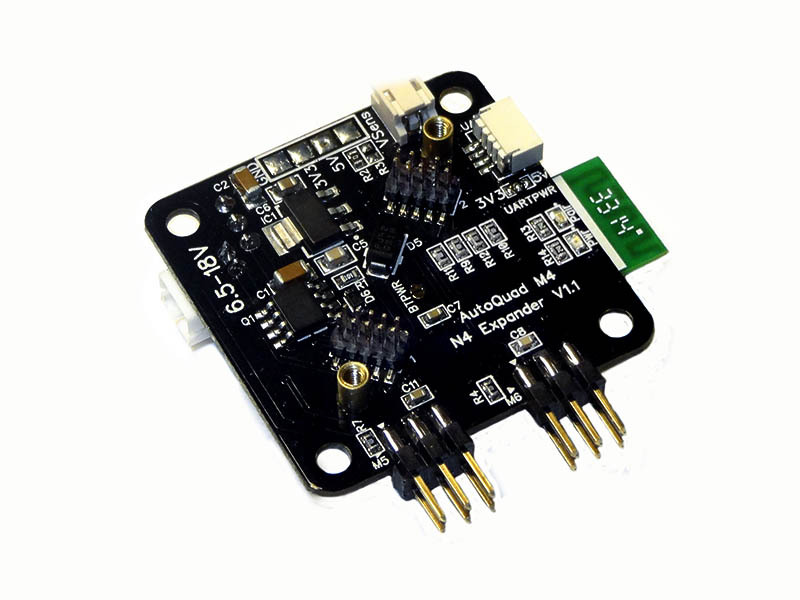 The 4 pin JST-SH socket (CAN1) provides a 5V powered CAN connection that can be used to powersupply and interface ESC32´s or other CAN-nodes. The N4 is terminated with a 120 ohm resistor to bring the overall CAN Bus impedance to 60 ohms. No further termination is needed. 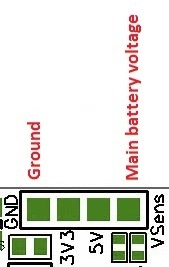 The Vsens pad will output the supply battery voltage. 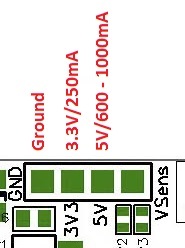 Connect Vsens and GND to the ADC and GND pads on the M4 using a small gauge wire. The connection is terminated through a 0.25W 0-resistor. The N4 expander is fitted with M2 selfclinching nuts. The board comes with 2 M2*8 cap screws and a set of M2 nylon isolation washers. After making all needed connections, line up the board with the expansion headers and make sure it fits. 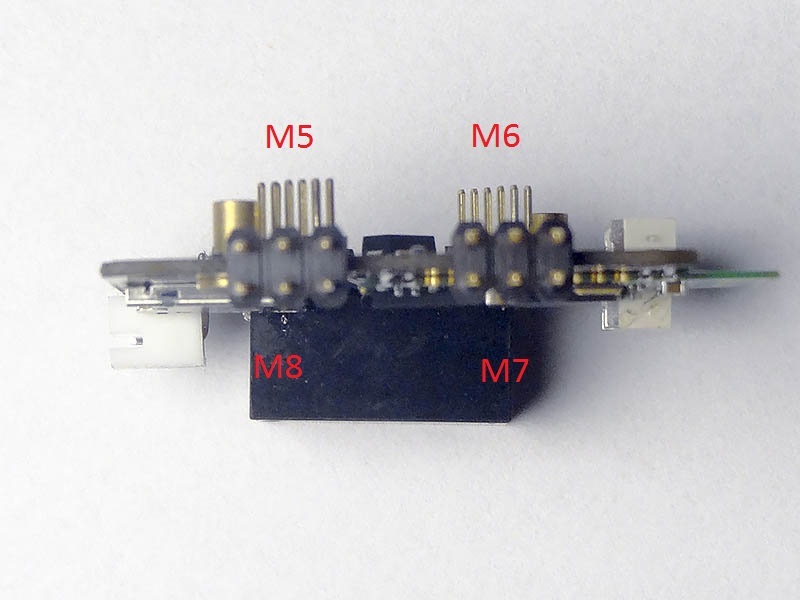 To avoid shortcircuits, use the supplied M2 isolation washers between the screw head and the board. Then fit 5 washers between the M4 and the N4 expander. This will prevent board flex and help align the 2 boards to each other. Make sure that boards is not flexing or buckling when you tighten the screws – if it does, add another washer. Consideer using a small dab of medium strenght threadlocker to secure the screws in place. 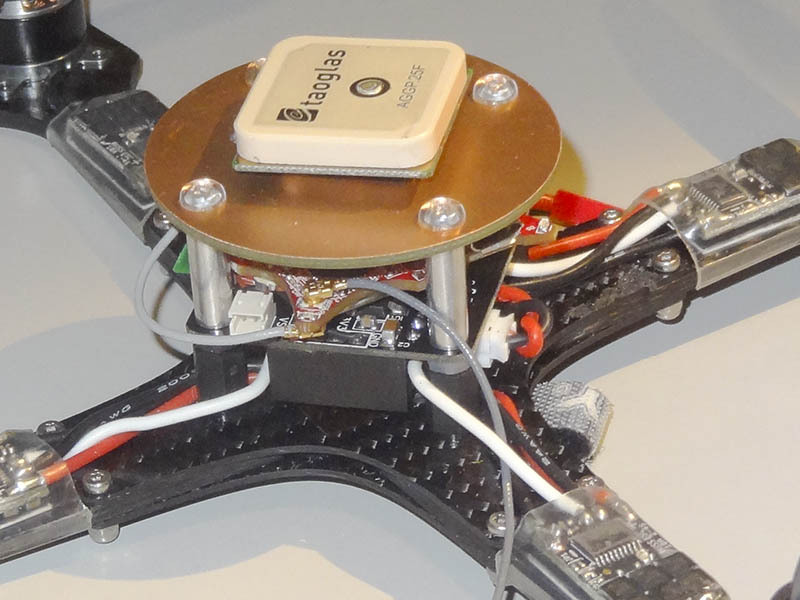 We recommend using a decent size groundplane under your GPS antenna. We found that 60mm is really the bare minimum for a round groundplane to be used with a 25 to 35mm Patch antenna. For smaller copters, you may find that a simple dipole antenna will give decent results. This page was created on 21-Feb-15 by jussi. Last modified on 26-Feb-15 by kinderkram.